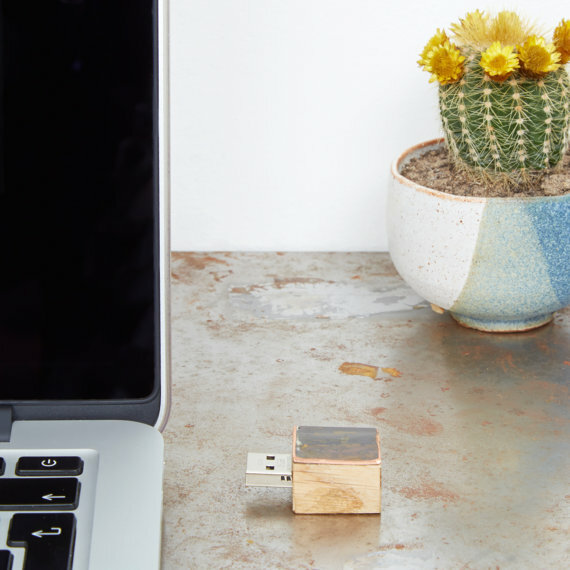 Handmade Oak & Copper USB Flash Drives, from reclaimed materials. USBs Provides ample room for your storage of data files such as music, images, video and documents. • Copper that has naturally oxidised over a period of years, forming a green colour. • Or alternatively a more earthy unpolished rustic brown. The oxidization on copper can differ slightly from piece to piece, but this is part of the charm of getting a handmade one of a kind object. This is a SanDisk USB with SanDisk's signature SecureAccess software, which enables you to password-protect and encrypt your private files, is included with the drive. This password-protection technology uses 128-bit AES encryption and is supported by Windows XP, Windows Vista, Windows 7, Windows 8, and Mac OS X v10.5 or later. A USB 2.0 port is required for high-speed data transfers.